DH at the CC Commons Now Live! 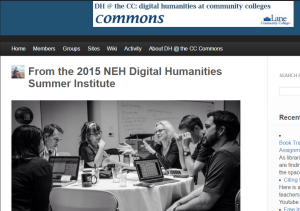 The DH at the CC Commons is open to all interested in teaching digital humanities at community colleges. This entry was posted in Uncategorized on October 19, 2015 by Anne McGrail.